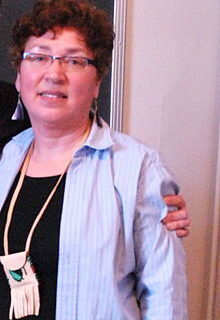 One of the most accomplished indigenous poets describing New Hampshire is surely Cheryl Savageau. She has been writing about her Abenaki and French heritage for years, to substantial critical and academic acclaim (including a Pulitzer prize nomination). Her first book, Home Country (1992), is unfortunately out of print now, though you can still find used copies, as well as a cassette recording of some of those poems. The second, Dirt Road Home (1996), is a little more readily available, although its publisher, Curbstone, had to close recently. In her third book, Mother/Land, Savageau is even more persistent in mapping specific places in New Hampshire (the Pemigewasset River) and Massachusetts (Lake Quinsigamond) as deeply Native spaces. And there are all kinds of other treasures here, too, like the poems about the rings and necklaces she sifts through in her mother's jewelry box, after her mother's passing; and some juicy indigenous erotica as well! If you are academically inclined, you can check out my essay on Savageau's poetry in Studies in American Indian Literatures 22.3 (2010). But why not get yourself a copy of Mother/Land and join our "Indigenous New England" discussion group on Goodreads.com? A dynamic group of readers (including at least one other Abenaki poet!) will be joining us until October 3. Like her previous poetry collection, Dirt Road Home (Curbstone Press: Willimantic, CT), Abenaki poet Cheryl Savageau’s Mother/Land (Salt Publishing: Cambridge, UK) is a work to which I return often, whether late at night before sleep or during a quiet time in the day. Always, delight comes in my rereading of her work. This used to be surprising to me, for there are few poets whose works consistently lure me to the page. Rather, I seem to be one that gravitates to different talismans (Molly Peacock’s term for treasured poems) composed by a variety of poets. 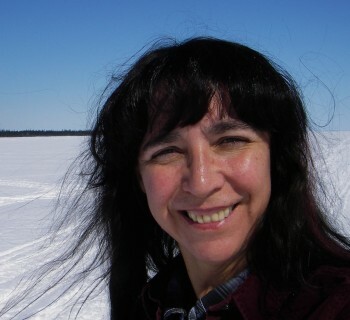 Beyond my good fortune to have had Savageau as a mentor and that we share a similar legacy from the early French and Wabanaki interactions in the northeast Maritimes, I want to point out some other reasons why I regard her poems as jewels. It was the way she put together her words, lines and images that first captured my attention. Pure clarity! Not simplicity or easy access—but clear vision and disciplined articulation with little fanfare. Jim Northrup’s syndicated columns in News from Indian Country and all of Robert Conley’s works exemplify this clean, sparse way of writing and storytelling. heard for a thousand miles, more. Ocean is their word for world. To me, this poem is a wonderful confluence of sounds, sense and meaning, to quote again the editors of From the Fishhouse (xxi). til the hull is full. My response to Savageau’s poems has to be that they are a slice of reality in a mad world. I feel confronted and comforted by the poems, as well as by her children’s book, Muskrat Will Be Swimming. I like being able to settle in with something I KNOW is not contrived or artificial. It makes sense to me that this poet chooses to explore her native roots, her family dynamic, her very sense of self as she writes. I feel like I am on a back road, heading to a roughed-up river, having a conversation with my relatives. I never get sidetracked, I never get lost. I just get to where I wanted to, hoped to, go.